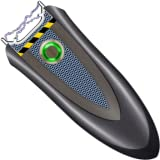 The rechargeable Tornado 1,000,000V Stun Gun is a combination of tactical stun gun and flashlight with a striking plate. This product is restricted in some states and by law cannot be shipped to the following locations: Hawaii, Illinois, Maryland, Massachusetts, Michigan, New Jersey, New York, Pennsylvania, Rhode Island, Wisconsin, or Crawford County, IA. The smallest stun gun in the world, the monster Hornet. 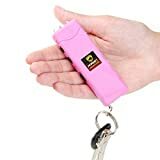 Weighing less than 2 ounces and measuring less than 4 inches in length, the Hornet delivers a sting on a keyring that will alarm any unsuspecting attacker. 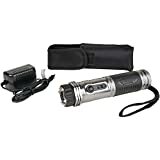 This monster stun gun combines 3 powerful LED lights, a convenient built in rechargeable battery and dazzling stun gun all in the most compact body ever designed in a stun gun. By effortlessly attaching the Hornet onto your Keychain, you are guaranteed to have a level of protection never before seen or felt in portable safety device. 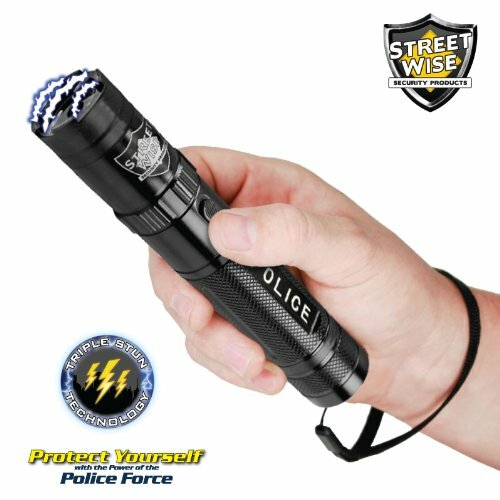 The perfect accessory, the monster Hornet 6,000,000 stun gun.